Theatre has officially begun! This semester’s show is the musical James and The Giant Peach. The show focuses around a boy named James and his life after moving in with his aunt’s and dabbling in magic. The show is comedic, having tons of dark humor and a loving message about family. Last week auditions were held and there was a large turnout. This week the cast was announced and it was a mix of kids both new and old. James will be played by Victoria Castillo who was involved in Improv, Freak The Mighty, and The 25th Annual Putnam County Spelling Bee. Spiker and Sponge will be played by Anthea Pearson and Harlei Schovey, both having started in the company with The Addams Family. LadyBug will be played by Stephanie Briceno who has been involved with the company since Frog and Toad. Grasshopper will be played by Devier Bryant who has participated in pit and cast since the Addams Family. Spider will be played by me! Mari Martinez, who started in the company with The Addams Family. Centipede will be played by Pablo Marcos, a dedicated member of the company since Nunsense. 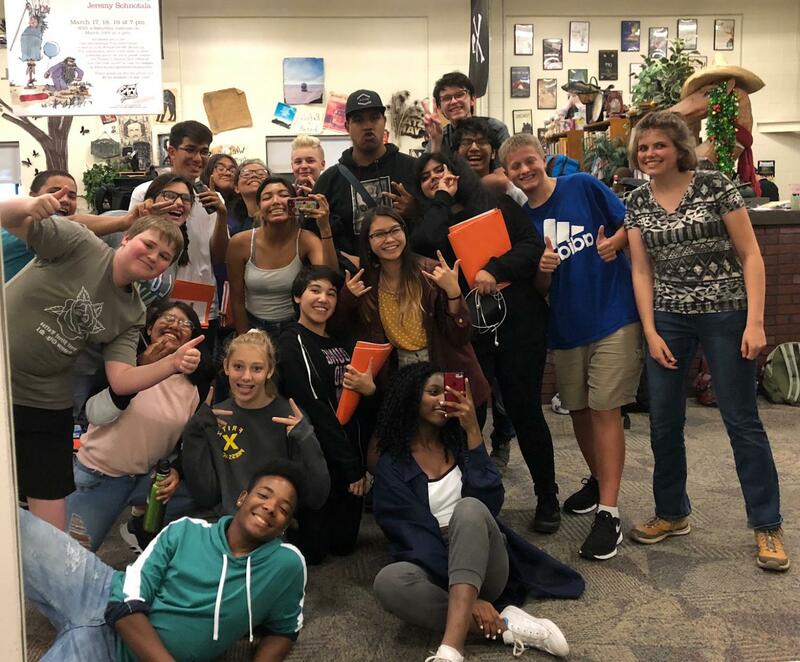 The Chorus consists of Tiffany Le, Kyle Empie, Natalie Perez, Aleena Allen, Jack Ballard, Estella Oliver, Cierra Cortes, Joshua Kortz, Britney Lopez-Tzep, Kenyalie McIntosh, and Kahlil Rembert , most of whom, it is their first time with the theatre company! James and The Giant Peach is set to come on stage November 8,9, and 10, with the return of the Saturday matinee performance. Be sure to save the date and come see your peers hardwork!